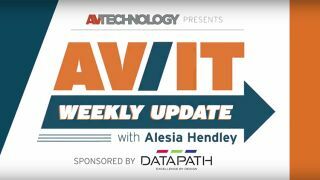 In this week's video, Alesia Hendley, AV operator at The Berry Center in TX, showcases hot products and ISE news: Daktronics' Chip-on-Board Technology, the Digital Signage Summit at ISE 2018, Nureva's Wall Solution, and LifeSize's Cloud-based Conferencing. Editor’s Correction — The video mentions Logitech but LifeSize is the correct company name. Additionally, Nurevais pronounced new + rave + ah. Check out their innovative solutions at Nureva.com.